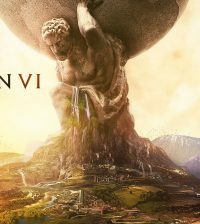 The next installment in “Civilization” will release on October 24 according to Firaxis Games. “Civilization: Beyond Earth” was first announced last April at PAX East and will take players beyond history and instead into space exploration. “Civilizatoin: Beyond Earth” is being considered a spiritual successor to the game “Sid Meier’s Alpha Centauri.” Firaxis Games has also said that the new installment was inspired by science fiction authors such as Isaac Asimov and Arthur C. Clarke.